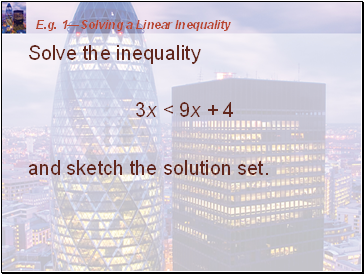 Some problems in algebra lead to inequalities instead of equations. 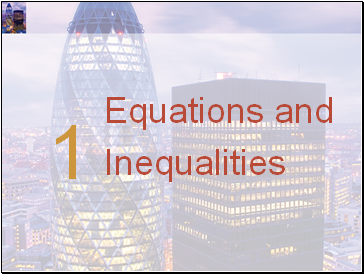 An inequality looks just like an equation—except that, in the place of the equal sign is one of these symbols: <, >, ≤, or ≥. The table shows that some numbers satisfy the inequality and some numbers don’t. 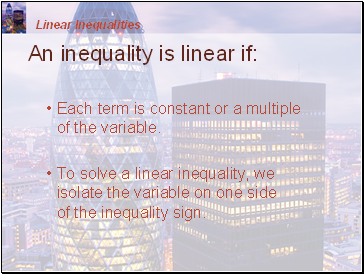 To solve an inequality that contains a variable means to find all values of the variable that make the inequality true. 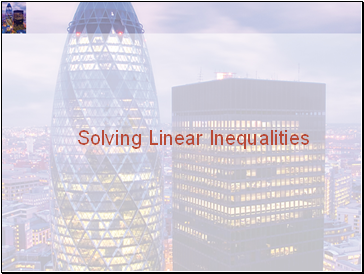 Unlike an equation, an inequality generally has infinitely many solutions. These form an interval or a union of intervals on the real line. 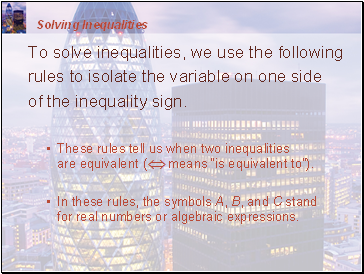 To solve inequalities, we use the following rules to isolate the variable on one side of the inequality sign. 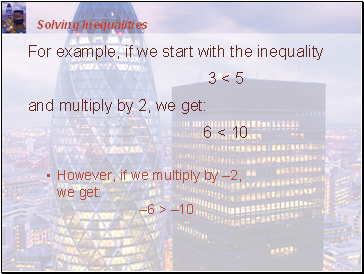 These rules tell us when two inequalities are equivalent ( means “is equivalent to”). 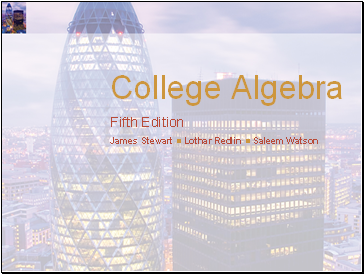 In these rules, the symbols A, B, and C stand for real numbers or algebraic expressions. 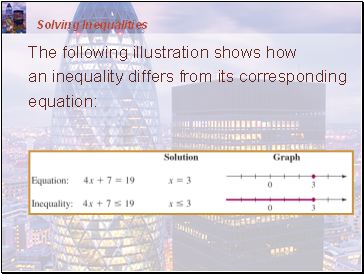 Here, we state the rules for inequalities involving the symbol ≤. 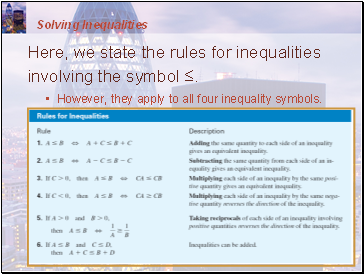 However, they apply to all four inequality symbols. Pay special attention to Rules 3 and 4. 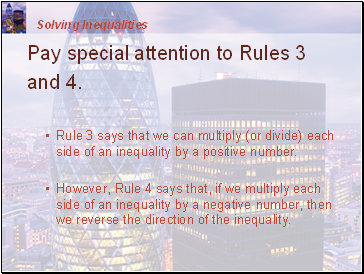 Rule 3 says that we can multiply (or divide) each side of an inequality by a positive number. 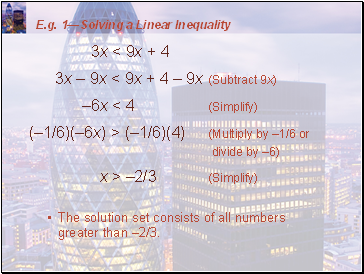 However, Rule 4 says that, if we multiply each side of an inequality by a negative number, then we reverse the direction of the inequality.